When Sgt. 1st Class Tim Brumit broke his neck in an attempt to save a young girl from drowning, he was paralyzed from the neck down. However, the Special Forces soldier has made it his goal to walk again. Brumit was on a pontoon boat anchored by his post at Eglin Air Force Base when he heard cries for help and saw a thirteen-year-old girl struggling in the choppy water and heavy rain. Without hesitation, the Green Beret dove off the pontoon boat to help. Brumit later told the media that he had misjudged the depth of the water and hadn’t realized how shallow the water was at that spot. A fellow soldier managed to pull Brumit onto a surfboard while another boat rescued the girl. 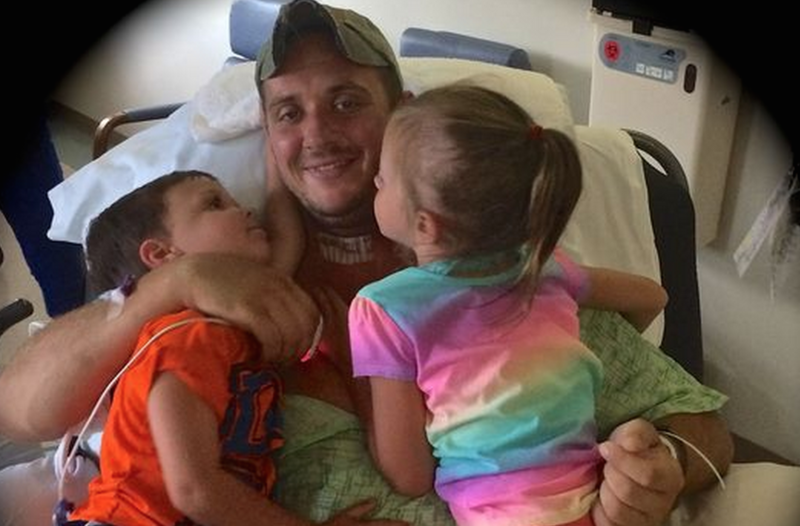 A father of two, Brumit was admitted into the hospital completely paralyzed from the neck down. However, days later, Brumit was already improving. With the help of emergency surgery, he has already recovered the use of his arms. According to Randy Brumit, the family motto is “What the mind can conceive, the body can achieve,” and Tim Brumit perseveres in that mentality.